Stella shares her enthusiasm for reading stories and poems with her little brother, Sam. 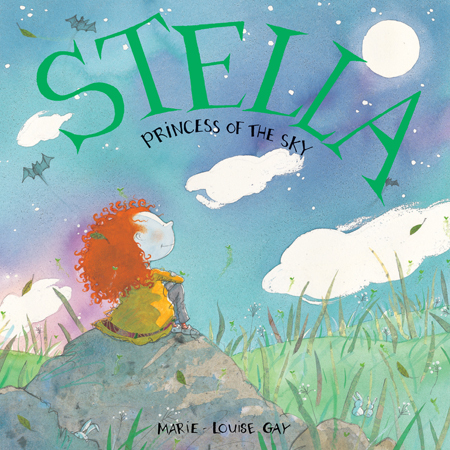 Stella reads to Sam while swinging in a hammock, wading in a pond and hanging upside down like a bat from a tree, as together they examine dragonflies and caterpillars, teach Fred to fly a kite, and spy giant rabbit-shaped clouds. 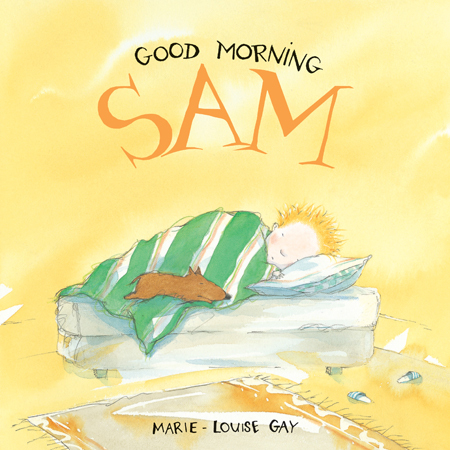 Marie-Louise Gay's evocative watercolor illustrations and whimsical, humorous story create a world where reading enriches the beauty and natural wonders of a magical day. Read reviews of Read Me a Story, Stella! 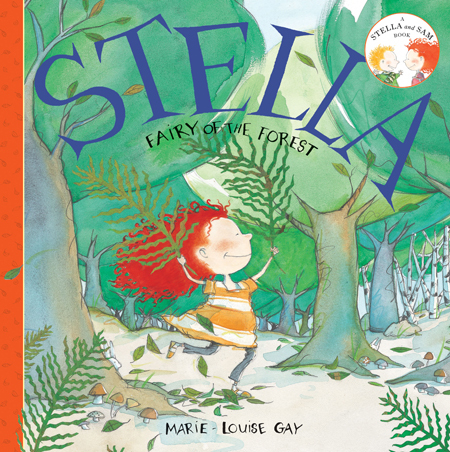 Here are all five of Marie-Louise Gay's beloved Stella picture books bound into one glorious volume. Where does Stella get her wild ideas? 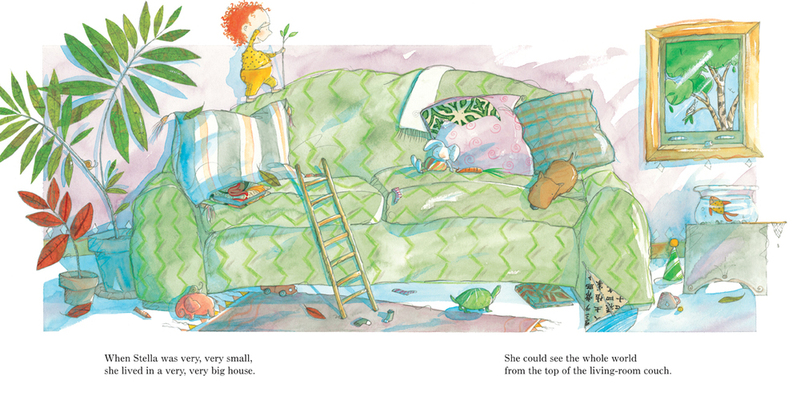 How big is Stella's imagination? What did Stella look like when she was small? 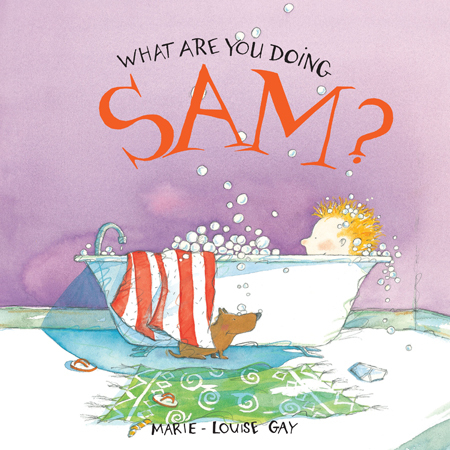 In this book in the Stella and Sam series, Marie-Louise Gay has gone back in time to answer the questions often asked by the children who read and love the books. In this book, Stella and her little brother are spending the day at the sea. Stella has been to the sea before and knows all its secrets, but Sam has many questions... Where do starfish come from? Do catfish purr? Are there any sea-monsters? Sam is experiencing his first snowstorm. 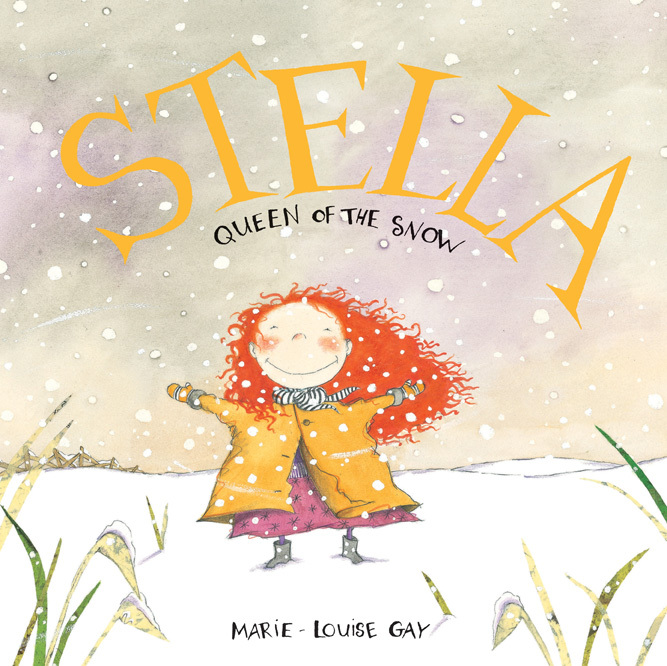 Older and bolder, Stella knows all the answers, and she delights in showing Sam the many pleasures of a beautiful winter's day. Stella's little brother, Sam, wonders if fairies are invisible. Stella, who has seen hundreds of them, leads Sam across meadows and streamlets to the forest where fairies live. Will they see one? A night adventure for Stella and Sam! Sam wonders if the moon can swim, if tree frogs are as big as wolves or if he can catch shooting stars with his butterfly net. As always, Stella has an answer to every question. In this vibrant and humorous book, Sam gets the last laugh on his big sister. In this Stella and Sam book, sister and brother join forces to search for Sam's beloved dog, Fred. Stella's little brother Sam and his dog, Fred, get up to some wacky household antics.